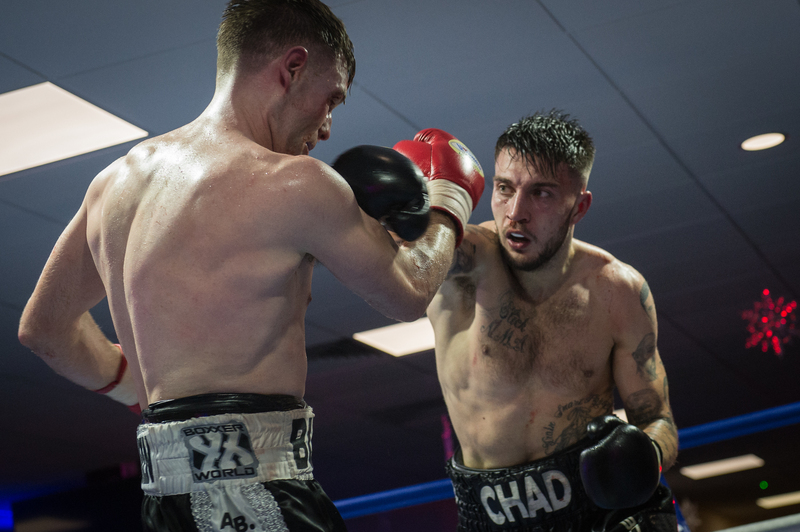 Just one week after a controversial loss on points in his latest pro boxing fight, Nottingham-born Chad ‘2 Slick’ Sugden is already working on a new training camp for an early rematch at Bingham Leisure Centre. And the Suggy’s Gym 22-year says he is determined to turn the tables on Huddersfield’s Alistair Warren on Saturday 4 February, when the two Super Middleweights clash for the second time in under two months in the co-headline fight on the professional boxing show REVENGE. “There’s no doubt the fight in Derby was a close one but there’s been a lot of debate since about the decision to score it in Alistair’s favour and we’re not alone in questioning the quality of the judging. “That said, anyone who’s seen me in the ring will know I wasn’t at my best last week. Now it’s down to me to take on board the lessons we learned in Derby, then go back out there to show what I can do when I’m at the top of my game. Priced £60 VIP ringside and £35 standard unreserved, tickets for REVENGE at Bingham Leisure Centre, The Banks, Bingham, Nottingham NG13 8BL will be available at Suggy’s Gym, 49 Castlegate, Newark NG24 1BE from Tuesday 3 January or can be pre-booked now via the ticket hotline 07816 840920.